The Seguin Gazette posted an article on Nov. 5 about a Veterans History Project event hosted by the Texas Court Reporters Association that captured the stories of five local veterans. The article quotes NCRA member Kathleen Ullrich, RPR, CRC, a local captioner who participated in the event. PohlmanUSA, based in St. Louis, Mo., recently made a donation to the American Red Cross “on behalf of all of our clients and reporters located in Houston and those affected by Hurricane Harvey.” In their announcement, the firm said, “We appreciate the first responders and volunteers for their heroic efforts to keep everyone safe across the southern United States during this extraordinary event of nature” and shared the link to the American Red Cross. It’s been more than a week since Hurricane Harvey took its toll on Houston, Texas, and surrounding communities. Although the rains may be over, the devastation and cleanup is expected to remain a long-term issue. 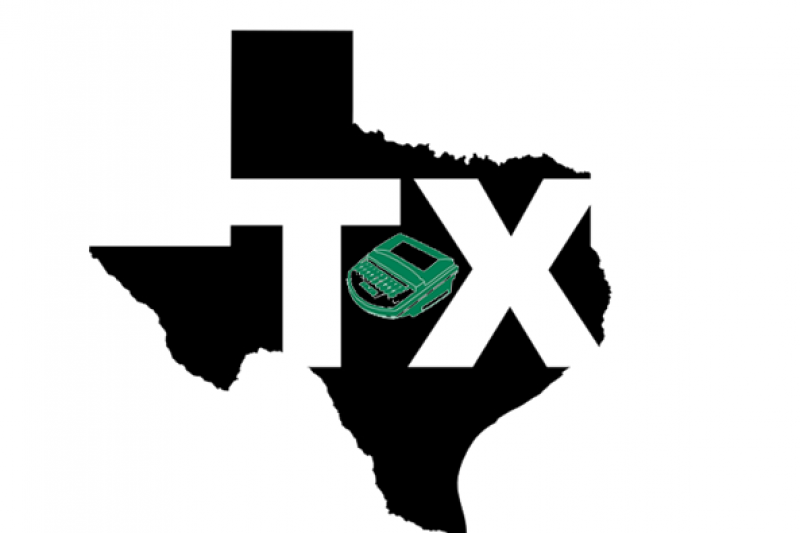 NCRA, the Texas Court Reporters Association (TCRA), and the Texas Deposition Reporters Association (TEXDRA) want those affected to know that the organizations are already working to help. In an effort to help ensure that member services are not interrupted during this difficult time, NCRA will offer flexible financing for dues and extensions on CEU requirements needed by those immediately affected by Harvey. In coming weeks, NCRA staff will also begin following up on members in areas affected by the storm to offer additional support and resources. Members needing assistance can also reach out directly to NCRA by emailing msic@ncra.org or calling 800-272-6272. NCRA is also encouraging individuals or firms to support relief efforts by donating funds to Reporters Helping Reporters, a GoFundMe campaign established by TCRA that will provide aid to members affected financially. To date, the site has surpassed its $10,000 financial aid goal. NCRA also encourages individuals who want to donate used equipment or individuals affected by the hurricane who need equipment to visit the TEXDRA website for donation and request checklists and forms. Gift cards can also be donated via the TEXDRA website for distribution to members in need. Other links on the website include TCRA’s GoFundMe page, information about volunteer opportunities through the Red Cross, and tips on what to do next in the event of a disaster written by NCRA member Kelly Hanna, RMR, CRR, CMRS, a reporter and agency owner in Houston who has been flooded twice before. There is also information on how to donate to the Red Cross and the United Way Relief Fund. 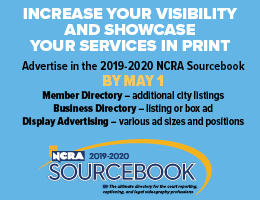 “NCRA is not just your professional association. 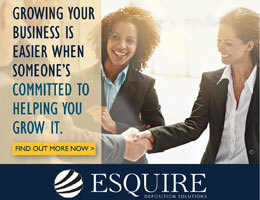 NCRA is your professional family. We want everyone impacted by Hurricane Harvey to know that we are here to help you in any way we can,” said NCRA President Christine J. Willette, RDR, CRR, CRC, a court reporter and firm owner from Wausau, Wis. “Your NCRA and NCRF Board members and their staffs are holding good thoughts for you and your families and friends as you work through these trying times. 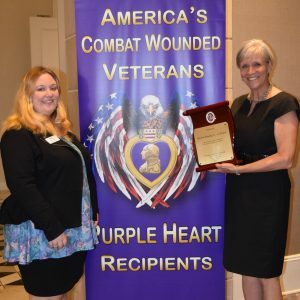 The National Court Reporters Foundation (NCRF) hosted a third Hard-of-Hearing Heroes Project initiative on Aug. 14 at the 86th Military of Order of Purple Heart (MOPH) 2017 Convention held in Dallas, Texas. Volunteer court reporters and captioners from the Texas Court Reporters Association were joined by a number of volunteer interviewers including NCRF Chair Nancy Hopp, FAPR, RDR, CRR, CRMS, from St. Louis, Mo., to help chronicle the service experiences of nine veterans from a number of different military branches and different wars, which will be transcribed for the U.S. Library of Congress Veterans History Project (VHP). The event was also featured in two segments that aired on KDFW-DAL Fox 4 News. In her remarks, Hopp shared that her own father was drafted in the infantry in his late 20s and served in Europe during World War II. He received the Purple Heart for injuries sustained during his active service. “Over the course of his life, my dad would tell us isolated anecdotes from his wartime experiences. In 1998, when he was 83 years old and on his deathbed, I flew to Florida to visit him in the hospital. When I arrived, he took off his oxygen mask, and he proceeded to knit together all those little war stories he had shared over the years into one compelling and poignant narrative of his experience,” Hopp said. Noting that her father’s story was an amazing tale of terror, courage, and, most of all, a strong sense of duty, Hopp added that she was struck at the time by how he would not let himself die until he had a chance to unburden himself of experiences he had had 50 years earlier. “I so wish I could have preserved his story both for posterity and as evidence of the personal sacrifices he made,” said Hopp as she encouraged those in the audience to share their stories for the Library of Congress program. NCRF’s work promoting VHP programs like the Hard-of-Hearing Heroes initiative is important because it helps veterans who have never spoken of their service share their stories, said Kimberly Xavier, RDR, CRR, CRC, CMRS, CRI, an official court reporter from Arlington, Texas, and a U.S. Air Force veteran, who volunteered at the MOPH event. 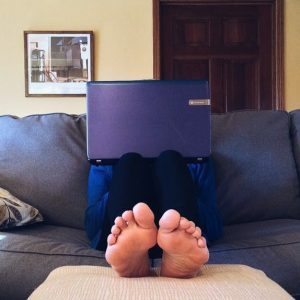 “As court reporters, we sometimes are too focused on the financial side of what we do, but (volunteering) is giving back. Anyone thinking of participating in one of these events should just jump right in and do it. It’s well worth it,” added Xavier. For volunteer interviewer Mark Kiernan, from The Colony, Texas, participating in the Hard-of-Hearing Heroes event was extremely gratifying especially since his own son was wounded during service in Afghanistan. 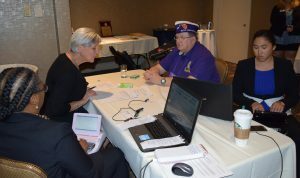 He attended the event with his wife, Therese Casterline Kiernan, RMR, CRR, a freelance court reporter who volunteered to capture the stories of the veterans he interviewed. “I would absolutely do this again. I think it is important that people learn and understand how much those who seserve — and their families, too — sacrifice. When my son was injured, the first person I saw in the hospital said to me that everyone now needs to learn a new normal. Hearing a veteran’s story could be the learning experience of a lifetime,” added Kiernan. (l->r) Kimberly Xavier records an oral history while Nancy Hopp asks veteran Benny Duett questions and Jennifer Collins provides CART. Richard Chenone, New Berlin, Wis., who served in the U.S. Army in Vietnam and earned the Purple Heart and Bronze Star medals for his service. Benny Duett, Meridian, Miss., who served as a corporal in the U.S. Marine Corps in Vietnam and earned the Purple Heart, the Vietnam Campaign, and the Vietnam Service medals for his service. James Gordon, Stone Mountain, Ga., who served as an E6 in the U.S. Army in Vietnam and earned the Purple Heart, the Bronze Star, the National Defense, the Vietnam Service, and the Vietnam Campaign medals for his service. Bill Grumlett, San Antonio, Texas, who served as a captain in the U.S. Army in Korea and Vietnam and earned the Purple Heart, the Vietnam Service, and the Korea Service medals for his service. Robert Hunt, Cordova, Tenn., an E5 (sergeant) in the U.S. Army who served in Operation Enduring Freedom and Operation Iraqi Freedom, and earned two Purple Heart medals for his service. 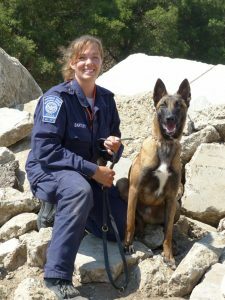 Hunt was accompanied by his golden retriever service dog, Baron, during his interview. Kevin Hynes, New Bern, N.C., a captain in the U.S. Air Force who served in Vietnam and earned a Purple Heart, the Distinguished Flying Cross, the Airman’s Medal, two Bronze Stars, and an Air Medal for his service. Robert Lance, location not given, who served as a sergeant major E9 in the U.S. Marine Corps in Korea and Vietnam and earned a Purple Heart medal for his service. Leonard Lang, Blanchard, Okla., an E5 in the U.S. Army who served in Korea and Vietnam and earned a Purple Heart and a Bronze Star medal for his service. Bobby McNeill, Charlotte, N.C., who served as a corporal in the U.S. Marine Corps in Vietnam and earned the Purple Heart, National Defense Service, Vietnam Service, Vietnam Campaign with Device, and Meritorious Mast medals for his service. NCRF launched the Hard-of-Hearing Heroes Project at the Hearing Loss Association of America’s headquarters in Bethesda, Md., in February, where five veterans with varying degrees of hearing loss chronicled their service experiences. 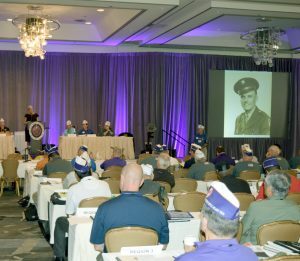 In June, seven veterans were interviewed during the 2017 Hearing Loss Association of America’s Convention in Salt Lake City, Utah. NCRF is seeking volunteers to participate at a fourth event in October during the Association of Late-Deafened Adults conference being held in Orlando, Fla. The Victoria Advocate reported on Aug. 20 that Sonia G. Trevino has been sworn in for a two-year term as area director, seat 5, for the Texas Court Reporters Association. On July 18, KSAT Channel 12, San Antonio, Texas, aired a story about the need for more court reporters in Bexar County. NCRA members Erminia Uviedo, RDR, CRR, CRC, and Tonya Thompson, RPR, are featured in the piece. 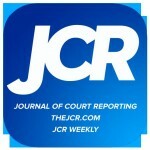 NCRA members Cayce Coskey, RPR; Leslie Ryan-Hash; Carol Smith, RPR; and Nardi Reaves were quoted in an article posted June 18 by the Times Record, Wichita Falls, Texas, that showcases the role of a court reporter as well as the speed and accuracy needed to succeed in the profession. Also on June 17, the newspaper posted an article about the salaries of Nueces County court reporters. On June 18, an editorial piece calling the salary assessment “grossly unfair” was published in the newspaper. KIII News reported on May 8 that the court system in Nueces County, Corpus Christi, Texas, has had a problem attracting and keeping court reporters because of low pay. Recently the Board of Judges and County Commissioners agreed to a deal to cut two positions in exchange for pay raises for all court reporters.